Good morning all, I couldn’t let the weekend go by without a quick round of BOTB. It felt wrong to post it yesterday, so Abi and I bring you our favorite links we found in this latest roundup, enjoy. Demonstrating the transformative power of spray paint, Alice at Farewell Office proves you can even use it on your shoes. 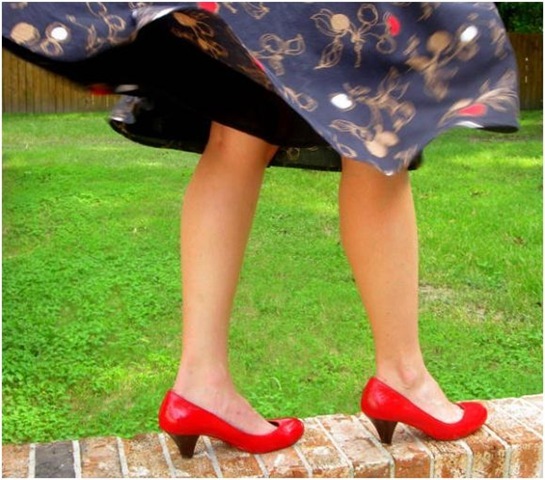 She painted her old pair of pumps and look at them now! 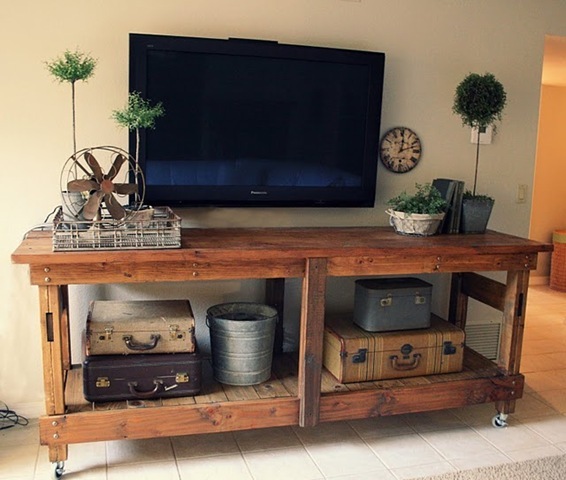 This industrial workbench look so great indoors, bravo Jilly & Mia! 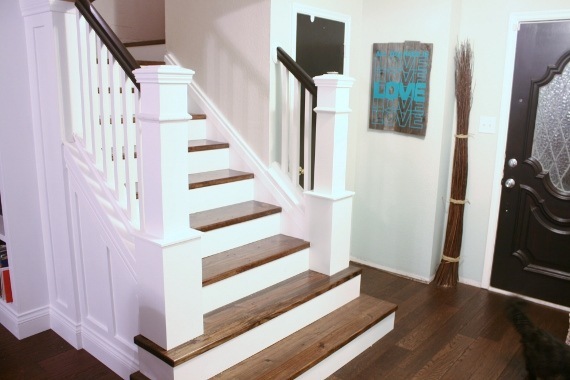 Learn how to build your own custom newell posts with Cassity at Remodelaholic. Want to makeover your bland kitchen mat? 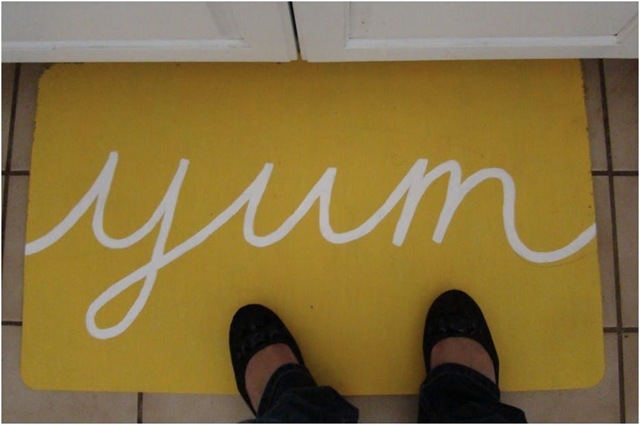 See how Mrs. Shanks reinvented her squishy kitchen mat with paint over at One Life to Love. Love birch trees as much as we do? 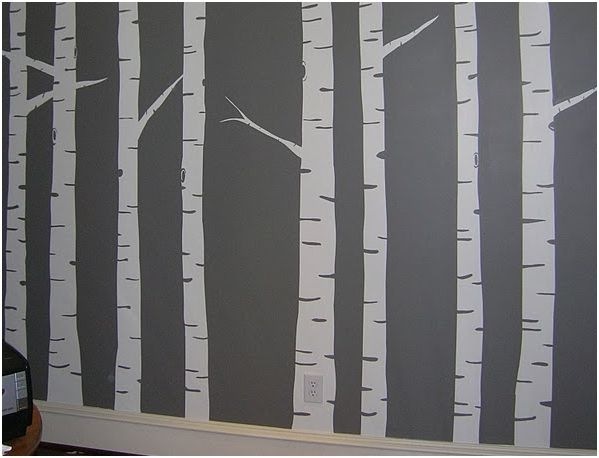 You can paint your own right on the wall with this tree mural tutorial by Noelle at Priss This. 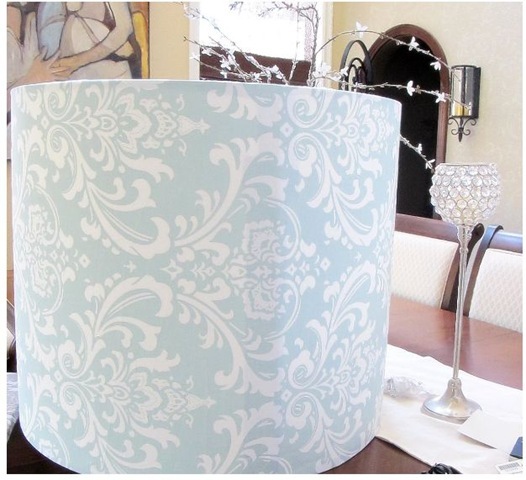 Make your own custom sized drum lamp shade in any favorite fabric with Kristin at My Uncommon Slice of Suburbia. 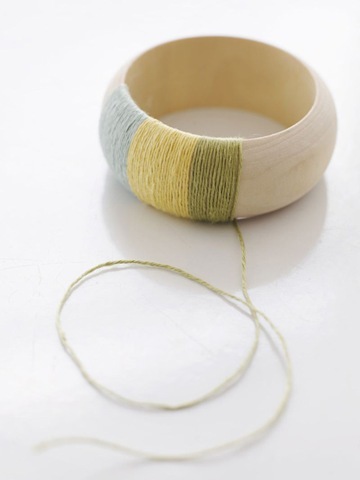 Linen or hemp twine wrapped in sections turns a wood or plastic bangle into a textured striped bracelet, details over at Sweet Paul. It’s that time of year, let the holiday crafting begin! 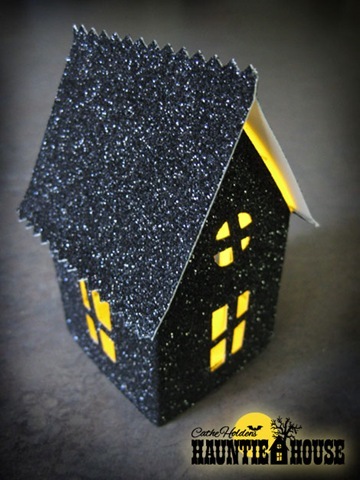 How sweet yet spooky is this glittery haunted house luminary designed by Cathe of Just Something I Made? She’s got the free template for you too. This burnt edge paper plate wreath by Jenny at Blue Sky Confections looks like something you’d spy at Anthropologie, so very creative! 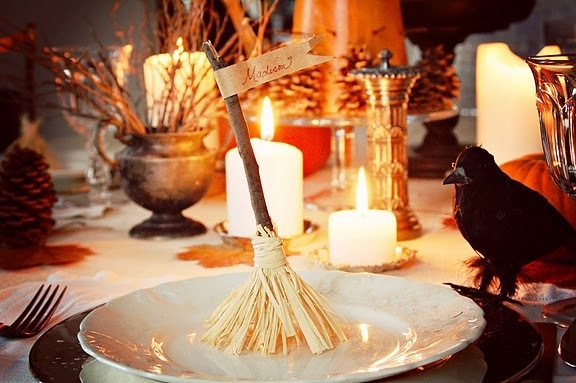 Miss Mustard Seed is never short on great ideas – these broomstick place card holders are so clever and the perfect touch for your Halloween table. Thanks Abi for helping me round up some of these great finds. Stop by to say hello over at her blog Gadding Gal! If you’d like your latest project considered for this weekend series, be sure to send it our way to [email protected]. I finished up two projects over the weekend, and I’ll be sharing them this week. Be back later today with the first one! What great projects! The wreath is so creative. The BOTB is a weekly highlight for me, great finds! Thanks you so much for featuring my shoes! They were a great project – green, cheap, quick & easy. I’ve received so many compliments on them already. I hope others find the tutorial useful, too. Those red shoes are awesome. Spray paint! Reminds me as a kid we used to spray our tap shoes every years to match our costume. Thank you, yes it felt wrong to blog yesterday! Love the simple but cute crafty bracelet!! Thanks for the new DIY craft idea! What a great line-up Abi! Thanks so much for including my little haunted houses. LOVE the workbench, now I’m on the look-out! I love your round-up, thanks so much for including my painted wall! I really love the bracelet and the painted floor mat too! This is one of my favorite BOTB weeks – really great projects! Awesome finds! Heading over to take a closer look at a few of them. Thank you so much for featuring my paper plate wreath. 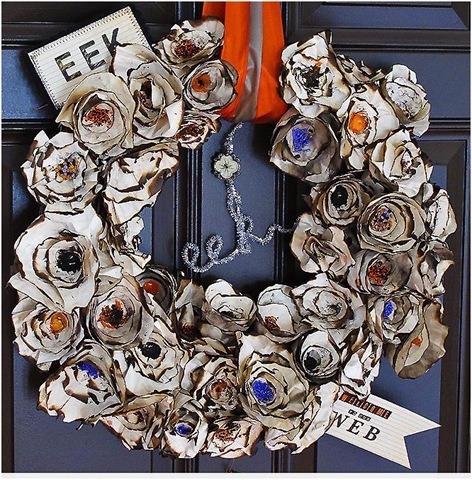 Your blog is a daily read of mine and I was pleasantly surprised when I saw my wreath in your line-up! Especially with such great projects! Thanks again. great highlight! love the staircase! Wow that industrial table is the perfect inspiration! I have an old bench sitting in the yard that looks exactly like that. Gorgeous ideas as always! THANK YOU so much for the link! That totally made my day! Another great roundup! Love these! So many great projects to check out! What a nice suprise, thank you!!! I’m loving all the inspiration. Have a wonderful week!